We believe this is the 16th year running for this breakfast. 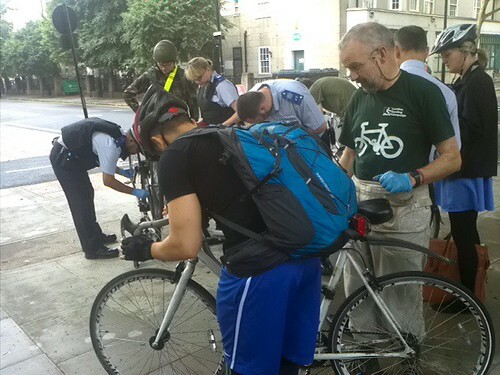 As usual, the event was run jointly by Camden Cyclists and Camden Council. The organisers started to arrive soon after 7:15 am. Paul Davis and Richard Riddle from Camden Council brought the tables and maps and maintenance stands. The morning started with a big shower of rain from 6:30 am and the early comers arrived in waterproofs, but by then the sun was shining. The weather remained fine throughout. 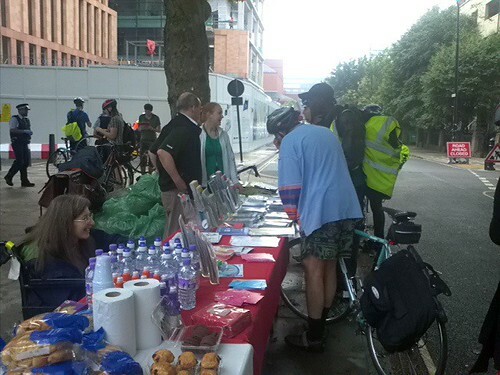 Helen Vecht organised the food – bringing in a taxi full of snacks and drinks by about 7:30. 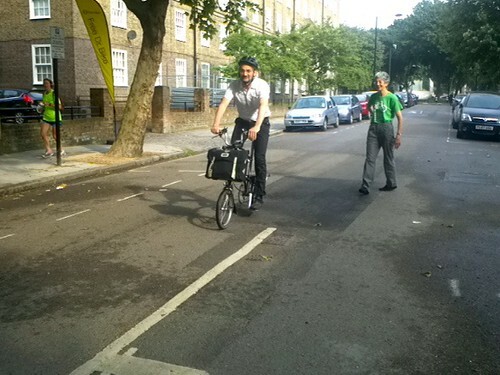 John Chamberlain set up as Dr Bike alongside Richard Riddle and was later joined by George Coulouris. Mary Cruikshank and Susan Seymour helped Jean Dollimore to set up the stall and then were kept very busy talking to the callers. 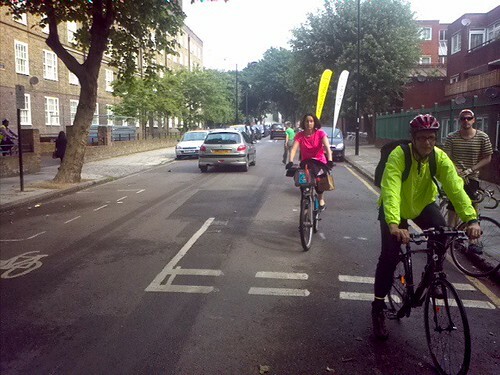 Angela Hobsbaum bravely stood in the road and flagged down the passing cyclists who started to arrive from about 8 am. 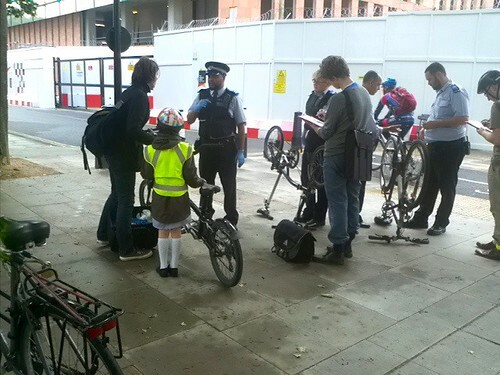 A group of PCSOs set up to mark bikes. 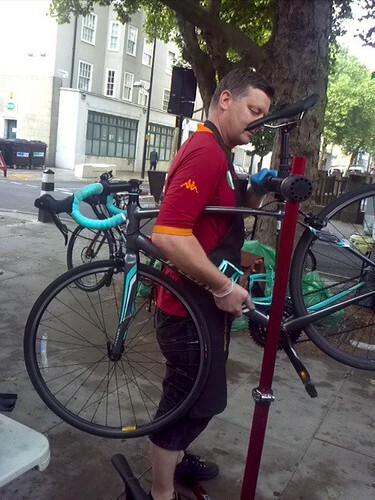 They were kept busy throughout the period as were the Dr Bikes. See a few more photographs on our Flickr site.